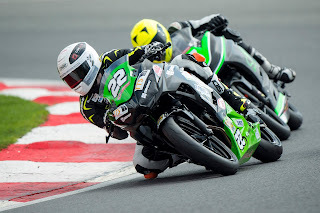 Superstock 600 class, with Dickies British Junior Supersport championship leader Eunan McGlinchey joined once again by Simon Reid on the Kawasaki Ninja 400’s. finishing the weekend in ninth place, holding onto fourth position in the championship standings, just one point behind Joe Sheldon-Shaw in third. rider remains in the lead of the series by a healthy thirteen points. 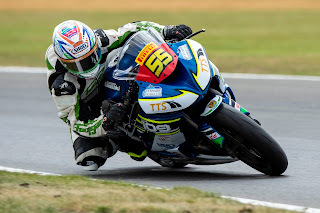 session throughout the weekend, before scoring a top ten finish in his very first British championship race on Saturday evening, coming home in eighth. He looked set to score a top five finish in race two on Sunday evening before a technical problem saw him retire as they began the final lap. Hopes are high as the team heads to the sole Scottish round of the series, and are aiming to help Kevin recapture his early season form, and hopefully make a push for the Pirelli National Superstock 600 podium once again. Despite his difficult end to the Snetterton weekend, McGlinchey is hopeful of scoring ore silverware and once again extending his lead at the top of the Dickies British Junior Supersport series. 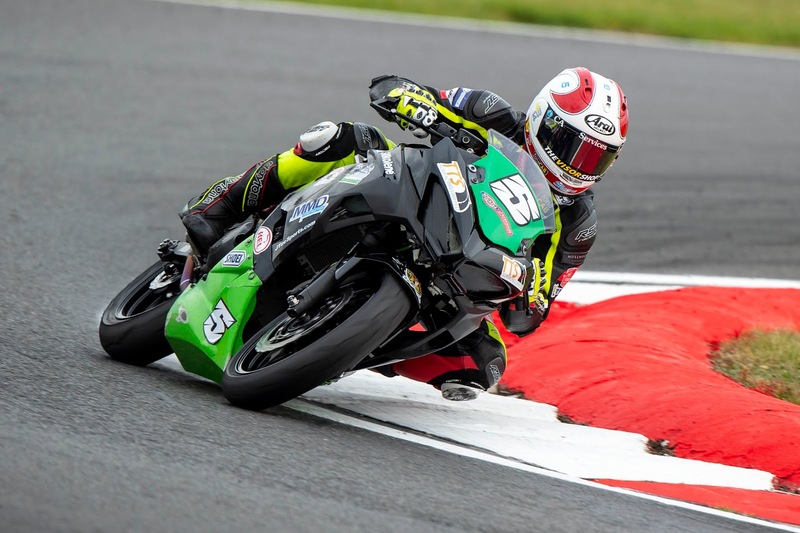 Following on from his solid showing in his British championship debut, Simon Reid is keen to continue his improvements on the Kawasaki Ninja 400, and secure some more point scoring finishes.